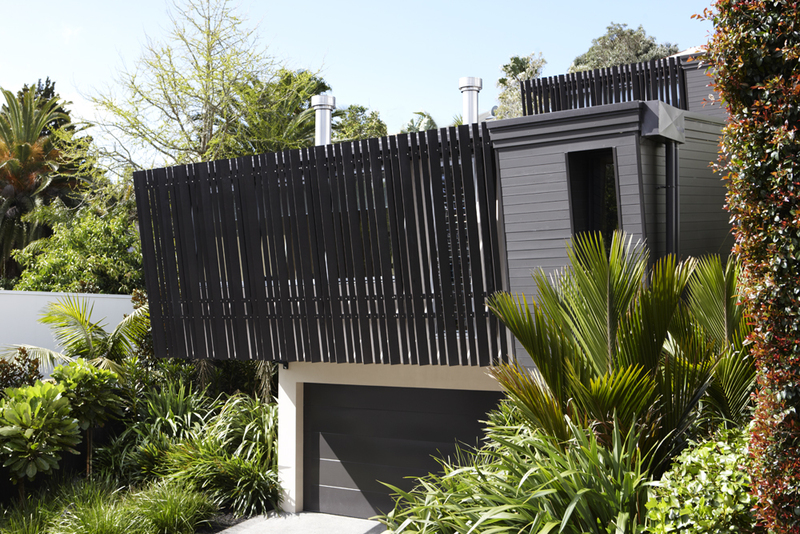 The Crescent House is located in Auckland’s inner city suburb Parnell and has been designed by Strachan Group Architects (SGA) to provide an elegant, private retreat for the semi-retired owners. 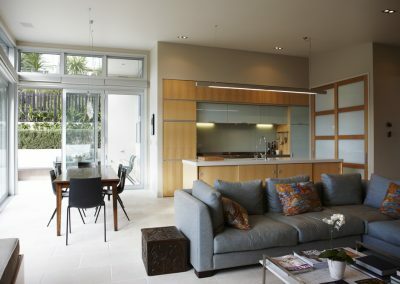 Strachan Group Architects designed the bright, buoyant home with entertaining and accommodation requirements in mind as requested by the owners. 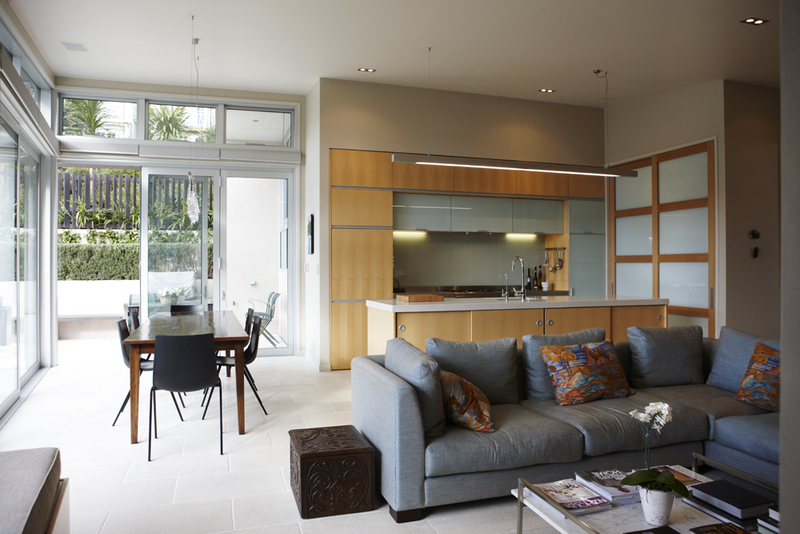 An open plan has been employed to help achieve this as it allows the main living areas to flow freely from room to room and out onto the terrace and barbeque area for easy living. 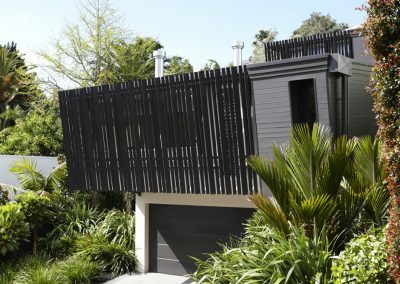 Simple and refined materials such as light and dark, smooth and textured surfaces have been used throughout the home to provide an aesthetically pleasing design both internally and externally for those who pass it in the street. Sustainability has also been a main focus and is demonstrated in the high performance envelope, solar water systems, thermal mass and cross-ventilated spaces. 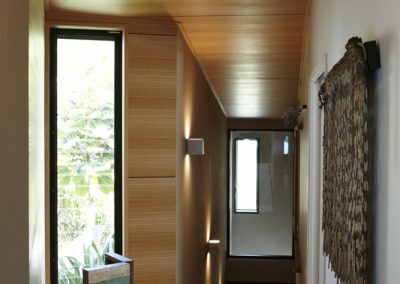 Passive cooling is achieved through the incorporation of strategically placed Breezway Altair Louvre Windows. The warm air inside the building is less dense than the cooler air outside, thereby allowing it to escape quickly from the high level Altair Powerlouvre Windows installed in the dining area. Cool air enters through the south/west glass louvres at the bottom of the house by the front door and then again at the featured Altair Louvres on the first landing to help keep the house fully ventilated at all times. The Altair Louvre Windows also provide crystal clear views of the outdoor landscape and city views for the family to enjoy.